You said life is waiting for the one to lose control. In the past 3 years, I’ve changed from believing in myself to believing God, from believing in my pair of hands to do it all to believing I can’t do everything – this road was not easy. God said to me, “Do you know what Lego are? When you need to rebuild a skyscraper into a castle, do you know how it’s done?” I know, the answer is to take it apart, then rebuild. At that moment I realized this is what my life needs to experience – taking it apart, then rebuilding. I am like Lego, and He is responsible for rebuilding me. On 6th November, 2011, we stood on the street waiting and waiting: “Father, where should I go?” At night, my child and I went and stayed with a sister from church. This was the first night, and started our first stay in someone else’s home. A little while later, I received a song called “Let it Go”. As I listened, I felt God was saying those words to me. Day after day, my entire life has really become out of my control, but my spiritual father has taught me that this is the time of breakthroughs. One midnight in December 2011, as I looked forward to 2012, God let me know that the “Lego” were ready to be assembled. In May 2012, I started writing this testimony, again to testify His faithfulness. 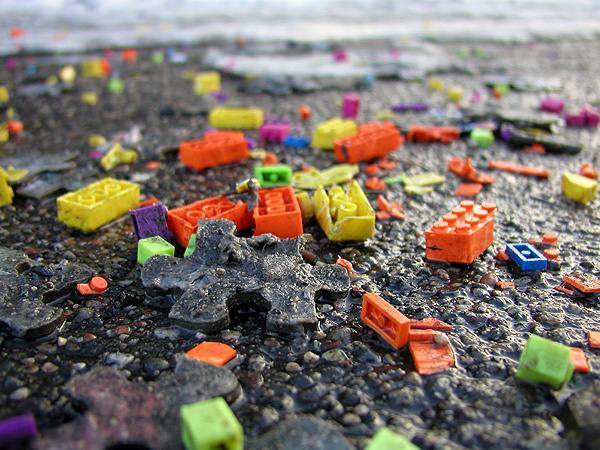 These past 5 months, the “Lego” had been dismantled. Today, He has given me and my child a beautiful home, a job that is better than I could have imagined, and a new road to travel. Perhaps this testimony isn’t quite complete and I may have left out a lot of the details of what happened. It is a shame that I cannot record every single detail of His amazing grace. These past 150 or so days, and the 1000 days before that make several thick diaries, and they have also created the new me. There are lessons, there are tests, there are experiences. This is a life in Christ, a new creation. The old has gone, the new has come.